Dr Charles Lake working with Jodnel teaching Discipleship and Evangelism. Dr Don Little teaching Isalm and the christian faith. It is interesting having all these doctors coming for dinner and listening to their theological discussions (most of which goes right over my head!!) and getting to know them for the little time there are here. There were travel issues because of Hurricane Irma but we enjoyed having Charles for a few extra days! Bill has his first class this morning teaching Old Testament wisdom literature and then on Friday he teaches Introduction to the New Testament. My routine feels a lot more manageable than last year!With Sam being in school from 8am - 2.30pm means I can work in the clinic the three days he is in school that gives me two days at home with the boys...which is great. I was a little worried about Sam being in school for so long especially as he is still only 3 and it was a new teacher. When I picked him up on his first day he said ' Hello, why are you here to get me already?' No need to worry then!! We've been asking and asking about Withlande (I had previously written Woudislande, that is her sister, you can see how I got confused) and keep being told she isn't too bad and the baby isn't too bad. I just found this really difficult to believe. She was so ill, needed 3 pints of blood, miraculously got one and was sent home from the hospital. How could she be not too bad? Stacey called in to see her on Sunday and she and the baby are doing great! The baby is getting bigger, feeding well and looks healthy. It really is a miracle so thank you to all who prayed. I'll finish with one more miracle from one of my patients last week. This lady first came to see me in August she had suffered from a stroke about 4 weeks before. She could not walk or stand or move her right arm. She also didn't understand much of what I was asking her to do and she was neglecting her right side. I explained to her daughter that because of her lack of understanding that therapy may not work very well for her. They left that day praising God for his goodness and healing in their lives. 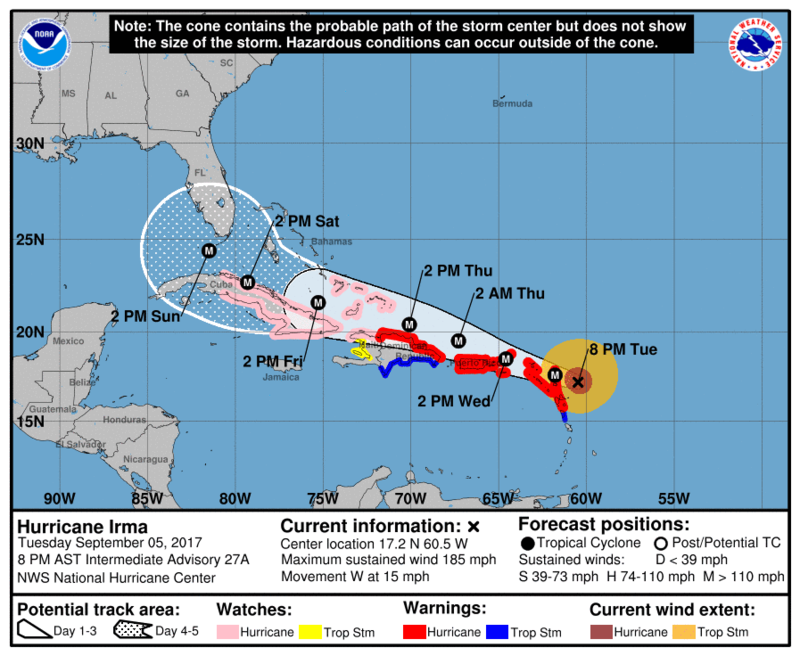 Irma was a category 5 hurricane, the strongest one to hit the Caribbean in 100 years. We live just east of Cap Haitian right beside the coast. 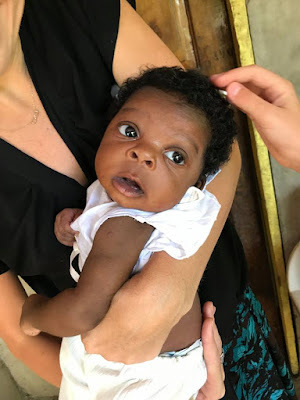 So on Tuesday we asked you to pray for us and for Haiti. 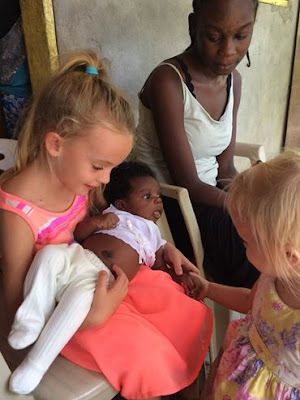 We asked you to pray that the storm would move north away from Haiti's coastline. We know of people in Northern Ireland, in Canada and in the US who were praying. And God answered. Yesterday morning we woke up to a little light rain and wind and were waiting for the storm to start. Every single website we checked said the North of Haiti should be getting heavy rain and gale force winds. Throughout the day we had short bursts of wind and heavy rain but by 7pm the rain had stopped and overnight we had a bit of wind. We have experienced much stronger storms here, in fact just last Wednesday it rained hard for about 30 mins and a natural river formed over the grass outside our house. Yesterday with Irma we didn't get any of that. This is last Wednesday after a heavy downpour...a natural river has formed which the kids took great advantage of! We do not yet know the effects in the city centre, which floods almost every time we have heavy rain, or further along the coast closer to the DR. But what we do know is that Haiti did not get the battering which she was expecting. 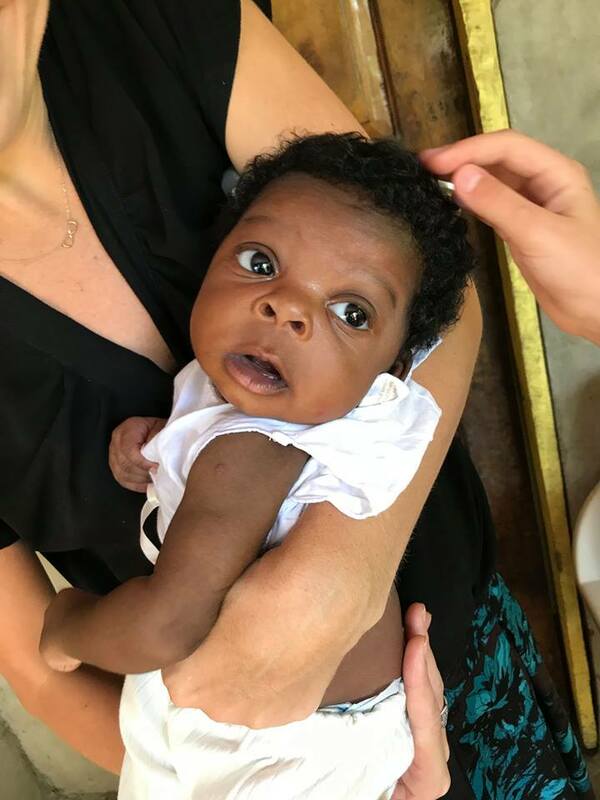 God had his hand over Haiti yesterday and what we were experiencing was a miracle. Thank you for your prayers, had hurricane Irma hit Haiti with the force it was predicted to, I'm sure most of the north coast of Haiti would have been destroyed. Let us take a moment to say thank you to God for his answer to the prayers of many people. Let us also continue to pray for those who have been devastated by this hurricane and for those whom it will hit over the next few days. 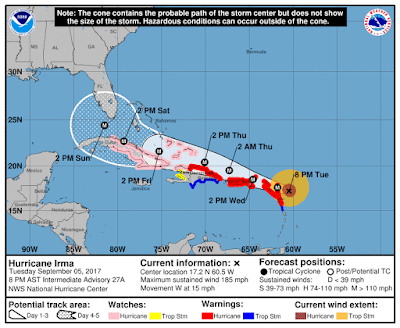 We are asking for your prayers as Hurricane Irma approaches. 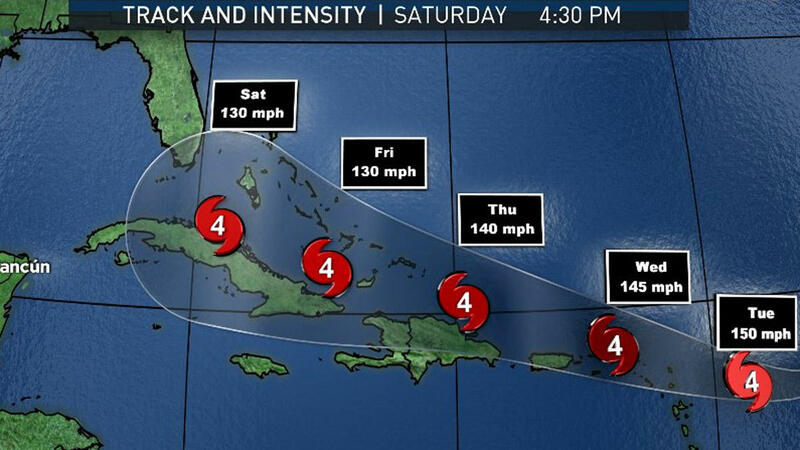 If it continues on the predicted path it will cause a lot of destruction here in the North of Haiti. We are not worried for ourselves, but for our friends, neighbours, colleagues, seminary staff & students. 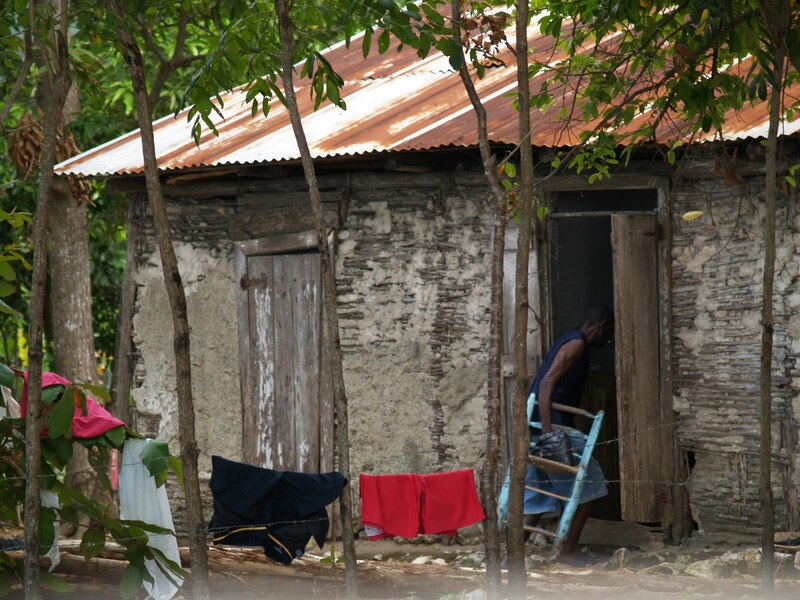 Many of whom live in houses built with mud and sticks with a tin roof, or a small 2 room block house. These kind of houses will not withstand a category 5 storm. Everytime we have a heavy rainfall there is flooding in town. Along with the flooding comes mudslides and an increase in cholera and malaria. So you can imagine how much damage will come with this storm which is expected to dump 10 inches of rain along with 100mph + winds. Please pray with us for the path to change. 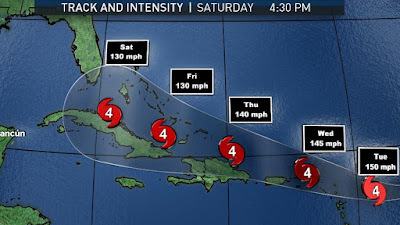 For protection for the people of Haiti and the other islands which are affected. We are praying to God to calm the storm as we know he can do. We will keep you updated as we can, but it is likely we will lose internet as the storm comes.